Are You Ready For Some Serious Fun? 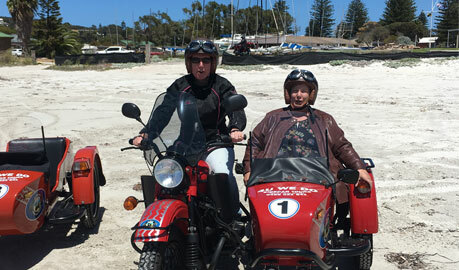 Why Choose a Sidecar Tour? You Get to be the Star! Why be simply one of the crowd on ‘just another tour’? 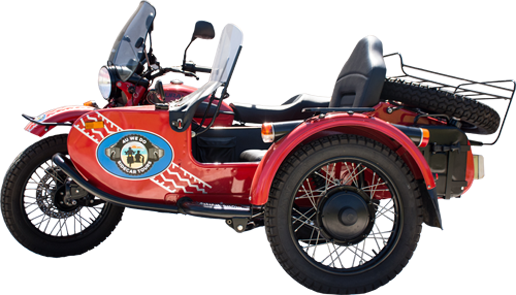 Be a star in a sidecar, a very safe and distinctive way of enjoying motorcycling, without the need for any previous experience. Share the joy of being in the spotlight: smile and wave to passers-by and enjoy a yarn or two with others when you stop. Feel a sense of accomplishment in going beyond the usual and create wonderful memories to last a lifetime. This is not ‘just another tour’ but an insight into a unique lifestyle. Experience the ‘buzz’ of motorcycling, enjoying the sights, sounds and smells of the very special environment you will explore. Feel the liberating freedom of the wind in your face and the open road ahead. At an average speed of no greater than 35km per hour we do not rush to get to the next destination. 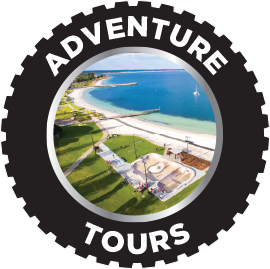 Although your safety is our prime concern we want you to have time to savour the unique sights, sounds and smells of your tour around Esperance. 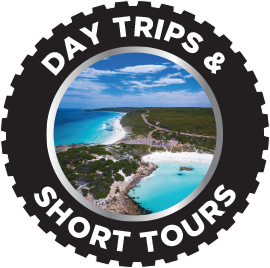 The leisurely pace of our tours is ‘typically Esperance’ and will leave you feeling comfortably relaxed. 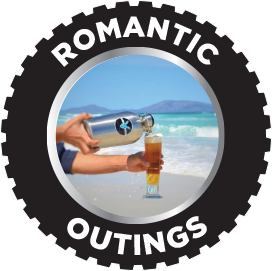 We also specialise in private ‘bespoke’ tours to suit your tastes, needs and any specific requirements you might have. You choose your tour to give you the best experience possible. 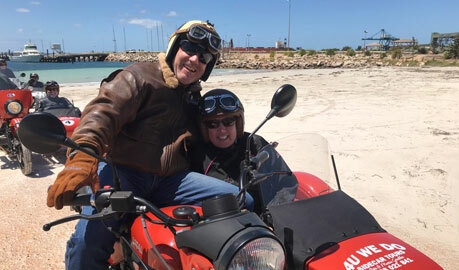 Why not consider a sidecar tour as part of your celebrations: weddings, parties, balls, work functions and sampling local gourmet delights can all be enhanced. Or treat someone special with a ride of their life. 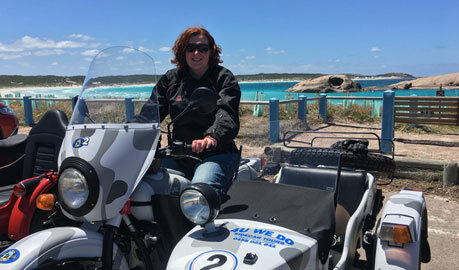 Titillate your senses with the wind in your face, and savour the unique sights, sounds and smells of your tour around Esperance. There is no better way to experience our wonderful natural environment. 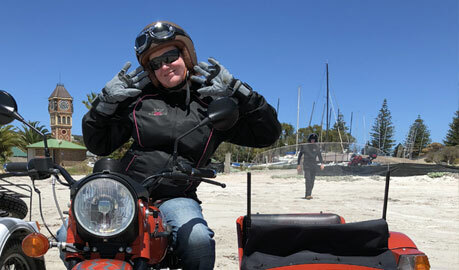 Seduce your senses with these sensational sidecar tours in WA’s best-kept-secret tourist destination. Feel the cool, ocean-fed breezes caress your face as you swoop and soar along the Road, gently massaging away the stresses and strains of everyday life. Savour the smells of bush and bays in this open-air experience. Listen to the symphony of sounds adding to the feeling of harmony with your surroundings: an orchestra of valve-gear percussion, burbling exhaust, thrumming tyres and flute-like eddies of air around your head. And marvel at the feast of colours in azure sea and skies, silver beaches and grey-green bush – your eyes will ache with the beauty they see. An unforgettable experience which will find its way into the memory banks.